Thanks to Hurricane Florence, the coastal areas in the Carolinas and surrounding states spent a significant amount of time underwater and without modern resources such as heat, gas and electricity. This includes fairly populated cities such as Wilmington, N.C., where most homes and businesses went without power for several days. But for as disastrous as this tropical storm was, an innovative power grid structure could have helped power in Wilmington return quicker, possibly saving lives. This innovative system is known as microgrids, which are proving to be a reliable and resilient way to locally produce energy, especially when they are interconnected throughout a metropolitan area. “If places like Wilmington, N.C., had been set up like a microgrid, they would have their own energy resources right there — in the town, in the city, maybe right on the outskirts — that maybe they could have gotten up and running (quickly) and get that infrastructure electrified and operating much, much quicker than it would take otherwise,” said Dr. Gregory Reed, the head of the energy program at the University of Pittsburgh’s engineering school, who also is starting to develop a grid of microgrids within the Pennsylvanian city. He said that, traditionally, power grids have provided electricity throughout a city or region, meaning that the power comes from one large centralized resource, such as a robust nuclear plant, hydro dam facilities, large coal or natural gas plants or even wind farms. The energy is then transported from that location via a high-voltage transition system throughout a region. That is why when the power went out in Wilmington, turning it back on was largely out of individual resident’s hands. They were stuck waiting for workers from around the state to come and fix their power problem. If the city had used microgrids, it could have taken matters into its own hands. 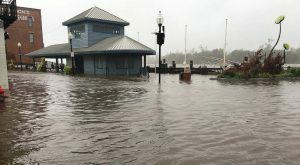 For as much as a grid of microgrids could have helped coastal cities like Wilmington, Pittsburgh is largely unaffected by large scale natural disasters like Hurricane Florence. So why are they the world leader in this innovate piece of technology? It is because it is more environmentally stable and reliable for the future. “A lot of communities — a lot of businesses — are all looking to move into a more sustainable future and are able to implement solar and other sustainable solutions locally; they have control over (it), (which) is sort of accelerating the growth of renewables,” Reed said. This works because it is much more cost effective to utilize sustainable resources on a smaller scale than compared to a large solar plant or wind farm. 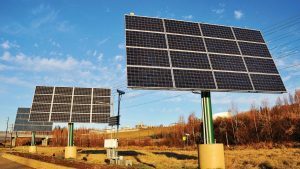 With microgrids, which might power a single facility or a major city block, a series of solar panels can go a long way. Implementing a microgrid can be somewhat expensive, so it takes a significant commitment from local businesses, politicians and engineers to successfully launch such a system. Luckily for Reed, that is exactly what he has in Pittsburgh. For instance, Bill Peduto, the mayor of Pittsburgh, has been very supportive, even given the high price. Reed said that costs to build microgrids and connect them are probably going to be “uncompetitive” until the technologies continue to advance and become more affordable. Currently, Reed is almost finished with building a new, high-voltage laboratory at the university near downtown Pittsburgh, which is basically its own microgrid. This will expand his research capabilities and infrastructure.